Online ordering is for shipping to a family’s home. It is not to be used for delivery to a funeral home. Led Light, Flameless Flicker. This is a boxed 3 candle set. 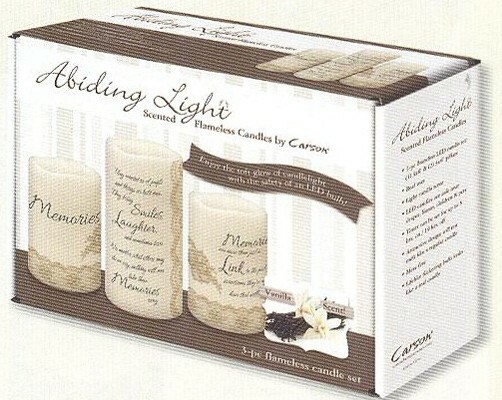 Candles range 6-9″. They can be placed on a mantle, book shelf or on a table. In the checkout section (right hand corner),it says notes. Please let us know how you would like your card to read so they know who sent it. For instance, In Memory of Mary, her light will shine on forever in our hearts. Love, The Smith Family. For local delivery to a funeral home, you must call our store. 724-861-8180. 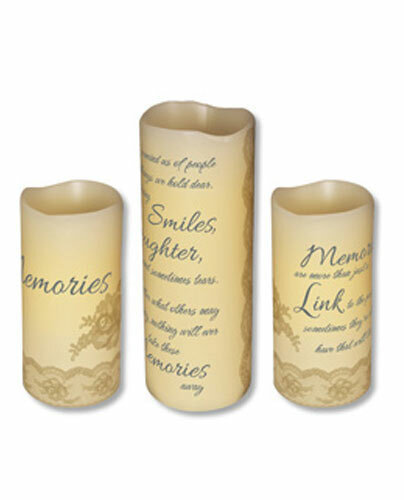 We can also place a candle ring around the base or place them in a basket for a small extra charge.